Authorities, on Thursday, charged a Berkeley County teen in connection with a fatal shooting outside a Cordesville-area residence earlier this week. Rayquan Glover, an 18-year-old Moncks Corner resident, faces one count of murder in connection with the shooting. He remained in custody at the Hill-Finklea Detention Center Thursday night. 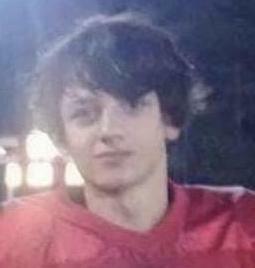 The Berkeley County Coroner’s Office identified the victim as 17-year-old Cordesville-resident, Alex Lee Tisdale. A Berkeley County Sheriff’s Office incident report outlines the preliminary information known abut the shooting. Deputies were called around 10 a.m. Tuesday to a report of a shooting at 1015 Hard Pinch Road, the report stated. At the scene, they found Tisdale lying in the driveway and not moving. A witness who said he was a friend of Tisdale’s was also at the scene, the report stated. He told deputies that Tisdale had arranged to buy marijuana from Glover but that Glover shot Tisdale after pulling into the driveway.